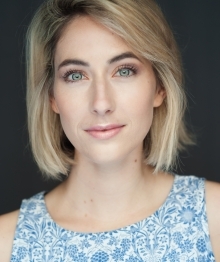 Since graduating from WAAPA, Claire Lovering’s screen credits have included Network Ten’s WONDERLAND, Brad Peyton’s SAN ANDREAS opposite Dwayne Johnson, most recently, as Detective Tanya Martin in the crime thriller HYDE AND SEEK for Channel Nine and in the critically acclaimed ABC comedy series, THE LETDOWN. Claire made her professional theatre debut in Tim Winton’s first play, RISING WATER, for the Black Swan Theatre Company and the Melbourne Theatre Company, for which she received a Best Newcomer nomination at the WA Equity Guild Awards and also starred alongside Jerry Hall in the Australian production of THE GRADUATE for Kay and McLean Productions. Most recently Claire has performed on stage in Ensemble Theatre’s WHO’S AFRAID OF VIRGINIA WOOLF? which saw her nominated for Best Supporting Actress at the Sydney Theatre Awards and in back to back productions for Sydney Theatre Company in DINNER and TOP GIRLS. She will next be seen in the new crime series, BITE CLUB coming to Channel Nine in 2018. Claire’s voice is smooth, versatile and relaxed and lends itself to anything from natural everyday girl, to retail, soft sell, character dialogue and straight. Claire is popular for friendly and engaging, conversational reads.